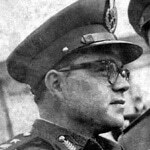 In 1963, only two years after the military coup that put an end to both the United Arab Republic and the predominance of the Baath Party, yet another coup brought the Baath back to power. Many of the officers who staged this coup were Alawites, a poor minority from the west of Syria, who thanked their social emancipation to the army. 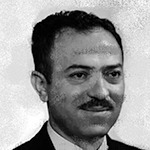 Gradually, the Alawites rose in rank in both the Baath and the army. The new regime believed in socialism, and hastened to nationalize banks and to introduce agricultural reform. 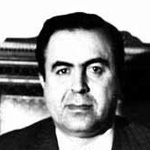 Michel Aflaq, founder of the Baath Party, was evicted from its board, and the state of emergency declared (which was lifted in 2011). Baathist rule in Damascus was unstable, with leftists and centrists constantly at loggerheads. In 1966 the radicals staged an intra-party coup. Syria’s resounding defeat by Israel in the June 1967 War, in which the Golan Heights were occupied, weakened the militant socialist regime, and friction intensified between the radical civilian wing of the party and the more pragmatic military wing. 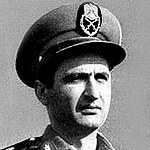 The climax was another putsch staged by Hafiz al-Assad, an Air Force general and later Defence Minister, on 16 November 1970. 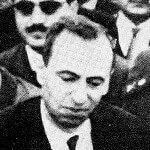 After the 1963 coup, banks and a few industrial companies were nationalized, and state monopolies were established for a range of basic commodities. Land reform that had been implemented during the union with Egypt was extended in 1963. These measures were, however, largely ad hoc and reactive, designed (in the case of the nationalizations) to ‘punish’ the traditional elite following anti-regime disturbances in 1964 or (in the case of the land reform) to broaden support from the better-off peasantry from whose ranks many of the Baathist coup-makers originated. 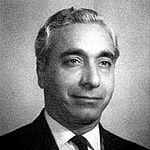 Only after the 1966 coup by avowed leftists in the Baath Party did ideology begin to play a major role, although even then it usually came second to the messy imperatives of local power politics. A comprehensive development programme was elaborated, in which state investment was to be the main driver of all economic sectors. The key industrial objective was the substitution of domestically produced goods for imports. Agricultural output was to be boosted by state-run irrigation schemes, particularly the giant Tabaqa hydroelectric dam on the Euphrates (completed in the 1970s). Modern services were to be brought to the countryside in a drive to raise rural living standards. Large sums were allocated for the construction of new roads and railways. The Soviet Union and other Eastern Bloc states became key partners in many of the new projects, strengthening the regime’s close political and military ties with Moscow.